Nowadays, being in business means that, sometimes, it gets quite challenging to keep up with the latest trends, especially when it comes to using social media. Other than choosing the right platform for connecting with your customers, you have to think of creative strategies to actually engage with your target audience. How can Instagram Stories improve your business? Since Instagram is one of those social media sites that is massively used, promoting your products/services on this platform may raise the awareness of your brand if executed wisely. Instagram stories was introduced last year, yet it still competes well with its rivals, stealing many users on a daily basis. 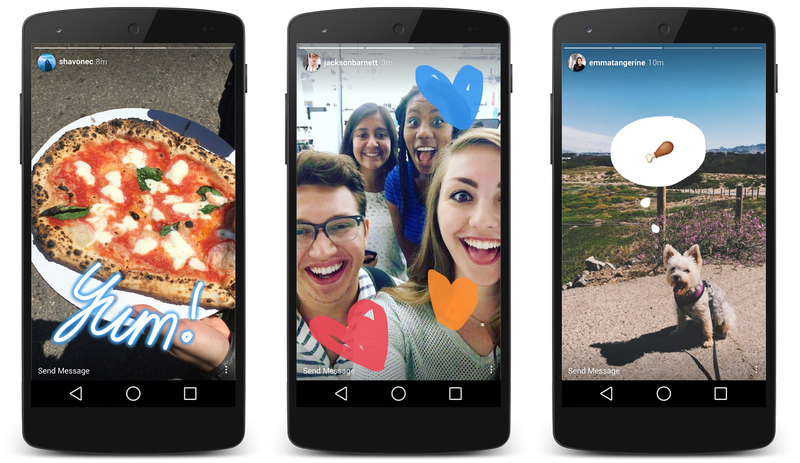 So, how can you improve your marketing using Instagram’s Stories? Design and aesthetics are one of the most important things when it comes to branding, so always make sure to post high quality content online. Instagram’s “Stories” lets you post either photos or videos which you may edit through the app, using filters, fonts and stickers. However, if you want to step up the game, then leave this assignment to the creative team of your company, instructing them to create visuals that will catch and keep your viewers’ attention. Additionally, have in mind that you may have to include sponsored stories to your campaign in case you want to grab a bigger scope of viewers. At some point, marketing should be about creating and nurturing stable relationships with your customers and this tip will help you achieve this. Aside of the products and services, the brand is also a representation of the people standing behind it. Therefore, it is often heart-warming to present the people working hard to satisfy customers’ needs to your viewers. Even more, your brand becomes more recognizable when you present some fun, cheering and caring photos/videos of the team behind the brand to your viewers. All in all, let your audience identify with the young spirit of your company and your employees. Since the stories last for a short and limited amount of time, catching attention and not being swiped right away is definitely a challenge. However, when you present some teaser photos or videos that may be of your viewer’s interest, then you can easily navigate his/her attention to the main product/service/event you are promoting. Take Jimmy Fallon for example – even though he has plenty of viewers worldwide, he still motivates people to watch his show by creatively introducing the guests of his upcoming show through his Instagram Stories. Eager to try out some of these tips in your next Instagram campaign?